Getting kids excited about reading can sometimes be tough. But get your middle school kid hooked on these exciting mystery books for middle schoolers, and you’ll help develop a reader for life. You can find these 20 exciting mystery books for middle schoolers in your local library or purchase through the affiliate links provided for your convenience. The Postcard: When Jason’s grandmother dies, he’s sent down to her home in Florida to help his father clean out her things. At first he gripes about spending his summer miles away from his best friend, doing chores, and sweating in the Florida heat, but he soon discovers a mystery surrounding his grandmother’s murky past. Into the Dark: An idyllic day of snowshoeing on Grampy’s land with Joey Strade turns out to be less than idyllic when thirteen-year-old super sleuth Ingrid Levin-Hill stumbles upon a body lying in the snow. This discovery sends the town of Echo Falls into a tailspin in which secrets long hidden are revealed and Grampy gets sent to jail. While Ingrid works to clear Grampy’s name and uncover what really happened to the man in the snow, she discovers even more secrets she wishes she never knew. Gilda Joyce: The Dead Drop: When Gilda lands a summer internship at the International Spy Museum in Washington, D.C., she finds herself caught up in both a museum haunting and a real case of espionage. While investigating a cemetery where Abraham Lincoln?s son was once buried, Gilda stumbles upon a spy’s dead drop of classified information. Jasper Dash and the Flame-Pits of Delaware (A Pals in Peril Tale): It is a land of wonders. It is a land of mystery. It is a land that time forgot (or chose specifically not to remember). Cut off from the civilized world for untold years by prohibitive interstate tolls at the New Jersey border, this land is called: Delaware. It is into the mist-shrouded heart of this forbidden mountainous realm that our plucky and intrepid heroes Jasper Dash: Boy Technonaut, and his friends Lily Gefelty and Katie Mulligan, must journey to unravel a terrible mystery. Murder at Midnight: A plot to overthrow King Claudio is brewing in the Kingdom of Pergamontio. Scholarly Mangus the magician-along with his street–smart and faithful new servant boy, Fabrizio–have been marked as easy scapegoats for the traitor lurking within the king’s court. Together, these two unlikely partners must gather clues to solve the mystery and prove their innocence before the stroke of midnight…or face death. The Traitors’ Gate (Richard Jackson Books (Atheneum Paperback): It’s 1849, the year John Huffman’s father is sentenced to London’s Whitecross Street Prison. He’s been put away for gambling debt—leaving fourteen-year-old John and his family out on the street. But it seems gambling is the least of their problems: Father Huffman is accused of treason. Surrounded by a cast of sinister and suspicious characters, John’s not sure what to believe…or whom. The Red Blazer Girls: The Secret Cellar : Mysteries seem to find the Red Blazer Girls: when Sophie finds a secret message in the antique fountain pen she bought for her father, the girls are on a case. Soon, they’re at the home of the pen’s original owner, a secretive man who kept to himself. His house is full of puzzles, all of which protect a hidden treasure, and the Blazers will do anything to get to the bottom of things. The Secret Series Complete Collection: Not only is the name of this series a secret, but the story is, too. For it concerns a secret–a big secret–that has been tormenting people like you for over . . . oh no! 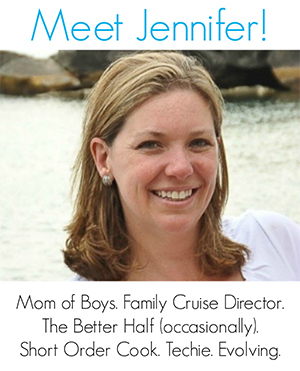 Did I just mention the secret? Then it’s too late. I’m afraid nothing will stop you now. Read this series if you must. But please, tell no one. Masterpiece : Masterpiece is a 2009 Bank Street – Best Children’s Book of the Year. Kaleidoscope Eyes : In Gramps’s dusty attic, Lyza discovers three maps, carefully folded and stacked, bound by a single rubber band. On top, an envelope says “For Lyza ONLY.” What could this possibly be? It takes the help of her two best friends, Malcolm and Carolann, to figure out that the maps reveal three possible spots in their own New Jersey town where Captain Kidd (the Captain Kidd, seventeenth-century pirate) may have buried a treasure. A Very Grimm Guide (Sisters Grimm) : Since 2005, Michael Buckley’s bestselling Sisters Grimm series has delighted fans with the story of the Grimm family, guardians of the world’s fairy-tale characters. There’s only one book left in the series, and this comprehensive guide provides the perfect refresher for fans looking to brush up before the dramatic final installment and is the perfect introduction for new readers. Island of the Unknowns: A Mystery : This gripping mystery, spiked with math clues, follows quirky outcasts Lady Di and Tom Jones as they try to save their woebegone island community. In their trailer park next to the Folsom Energy Plant, people have started to vanish, and no one seems to care. At first the kids barely notice the disappearances themselves—until their beloved math tutor, Mrs. Clarke, is abducted too. Powerless (Supers of Noble’s Green) : Twelve-year-old Daniel, the new kid in town, soon learns the truth about his nice—but odd—new friends: one can fly, another can turn invisible, yet another controls electricity. Incredible. The superkids use their powers to secretly do good in the town, but they’re haunted by the fact that the moment they turn thirteen, their abilities will disappear—along with any memory that they ever had them. Is a memory-stealing supervillain sapping their powers? The London Eye Mystery : Ted and Kat watched their cousin Salim board the London Eye, but after half an hour it landed and everyone trooped off—except Salim. Where could he have gone? How on earth could he have disappeared into thin air? Ted and his older sister, Kat, become sleuthing partners, since the police are having no luck. Despite their prickly relationship, they overcome their differences to follow a trail of clues across London in a desperate bid to find their cousin. And ultimately it comes down to Ted, whose brain works in its own very unique way, to find the key to the mystery. Cover-up: Mystery at the Super Bowl: The Super Bowl. America’s biggest sports spectacle. Over 95 million fans will be watching. But teen sportswriters Stevie Thomas and Susan Carol Anderson know that what they’ll be watching is a lie. They know that the entire offensive line of the California Dreams have failed their doping tests. They know the owner is trying to cover up the results. The only thing they don’t know is how to prove it. The Big Splash : Nominated for an Edgar Award in 2009, The Big Splash revitalizes the noir novel while delivering a terrific, addictive mystery that crackles with wit and excitement. The Bloodwater Mysteries: Doppelganger : Featuring the strong plotting and offbeat humor that won the Bloodwater Mysteries a prestigious Edgar nomination, Doppelganger is full of twists and turns that will keep readers guessing until the very end. The Puzzling World of Winston Breen (Puzzling World Winston Breen) : Winston Breen says the only thing better than discovering a puzzle is stumping someone else with it. But when his sister uncovers mysterious strips of wood with words and letters on them, even Winston himself is stumped. Soon the whole family (and some friends) are caught up in the mystery and off on a scavenger hunt that just may lead to a ring worth thousands of dollars! Chock-full of puzzles to solve, some tied to the mystery and some not, this treasure hunt will keep readers’ brains teased right up to the exciting ending! Gilda Joyce: The Ghost Sonata: Gilda Joyce’s best friend, Wendy Choy, is chosen to participate in a piano competition in Oxford, England, so of course super-sleuth Gilda finds a way to go too. Once there, the grueling practice schedule takes a backseat to strange and spooky occurrences. There are foreboding tarot cards that keep appearing to the participants and ominous numbers etched in frosty windowpanes. But even more chilling are Wendy’s ghostly nightmares of a young boy and the haunting melody she can’t shake out of her mind. 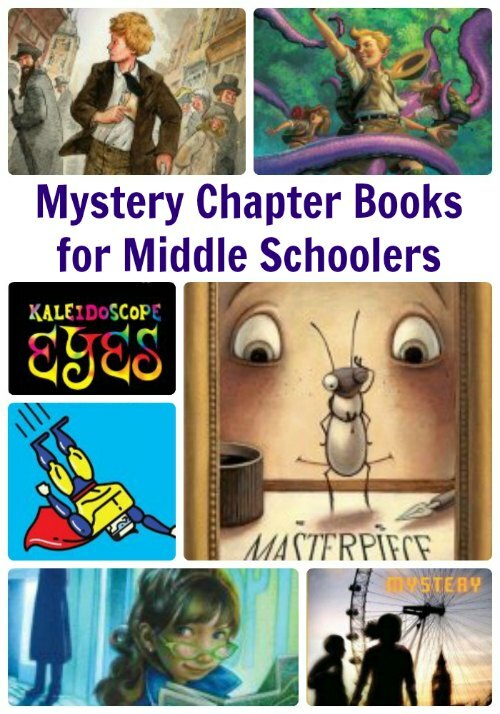 Like these mystery books for middle schoolers? Find even more engaging book lists for kids with more than 100 book-themed reading lists! I would recommend you start her with the Gilda Joyce novels and work your way from there. I just jotted down three titles to pick up at the library/book store for my reluctant 13-year-old reader. I would love to read any of them, too! Thanks for this awesome list. Fantastic list! I’ll have to add some of these to my 6th graders list for this year!